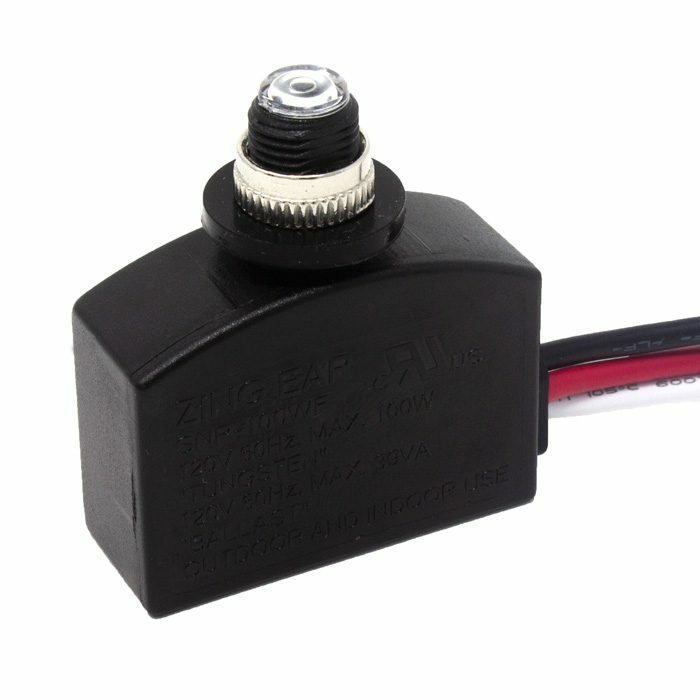 Use Zing Ear SNR-100WF photoelectric switch to Add dusk to dawn feature to your existing outdoor lamp or to replace an old photocell sensor. 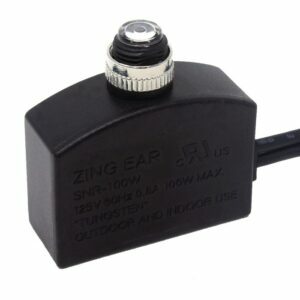 It turns the light on at night and off during the day to save energy and to extend the life of your light bulb. 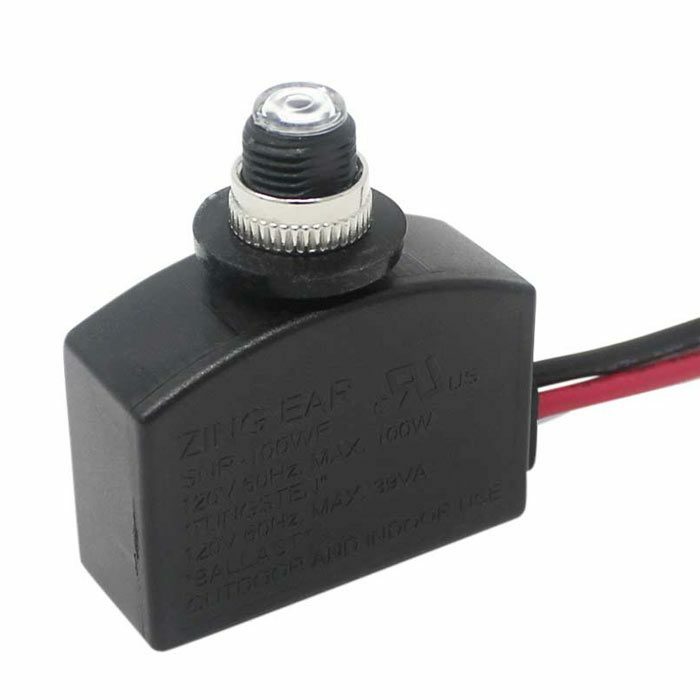 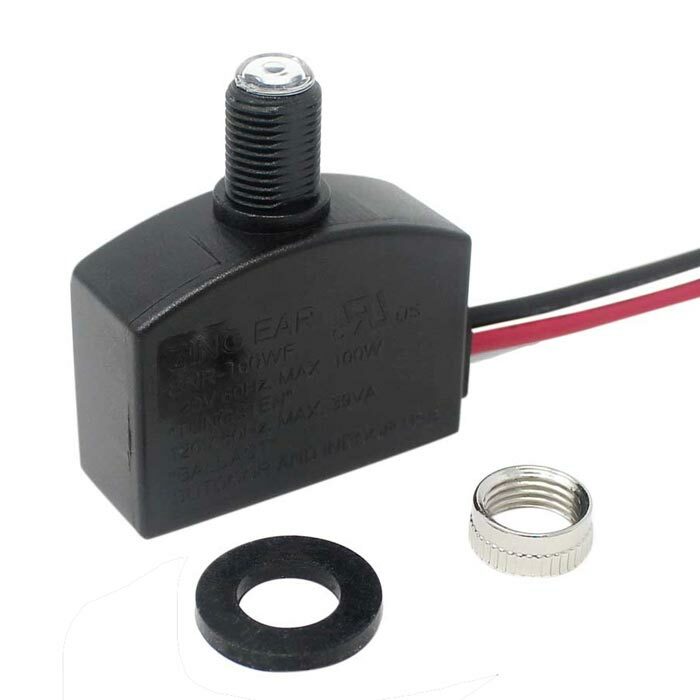 SNR-100WF photoresistor comes with three leads (White, Black, and Red – 5 inches each), 3 wire connectors and comprehensive wiring instructions for easy installation. 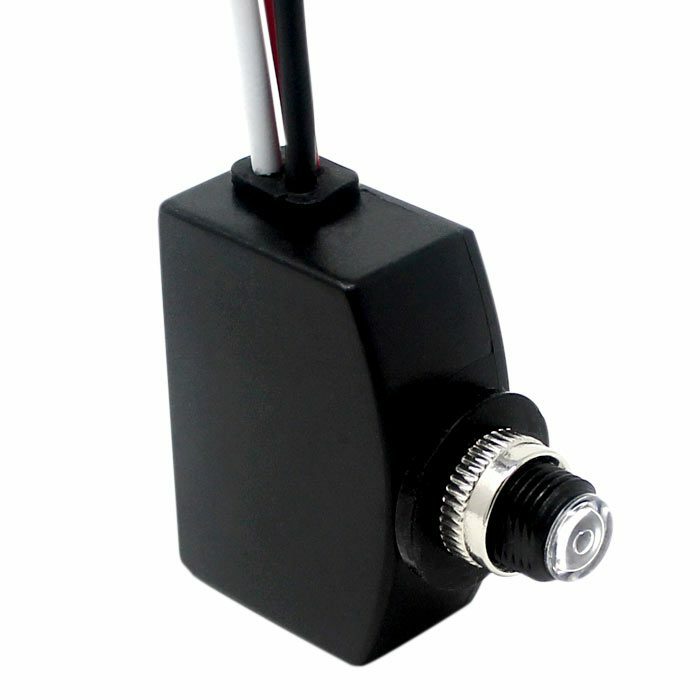 Electrical details: 120V 60Hz 100w Max.